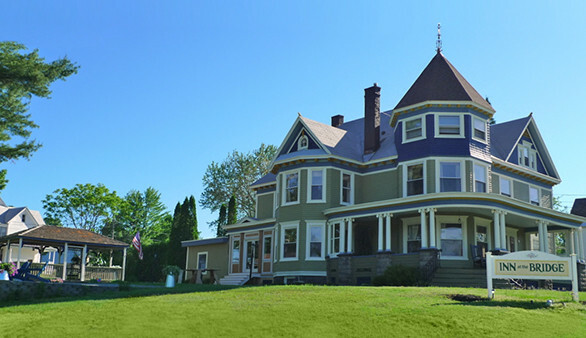 This southern Adirondack B&B is a landmark mansion overlooking Great Sacandaga Lake in the historic village of Northville, NY. 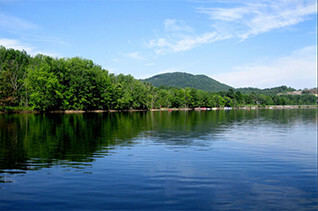 The 6 guest room Inn at the Bridge is located in Northville, New York, a lakeside village in the southern Adirondacks. The stately landmark Inn sits above Great Sacandaga Lake. The Inn offers guests sophisticated B&B lodging, a special events venue, a popular bistro and lake access. The Northville area is a popular southern Adirondack vacation destination with four seasons of activity. 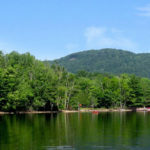 All types of year-round Adirondack activities are accessible from the village, including boating, watersports, hiking, skiing and snowmobiling. Northville is 1 hour from Albany, NY, and 45 minutes from Saratoga Springs, NY.